Candelario went 2-for-4 with a walk and a run scored in Sunday's loss to the Twins. Candelario batted leadoff with Josh Harrison (shoulder) out of the lineup, and the 25-year-old served as an effective table setter. Candelario is still batting just .208 this season, but he picked up three hits in eight at-bats over the weekend, so perhaps he could be heating up. 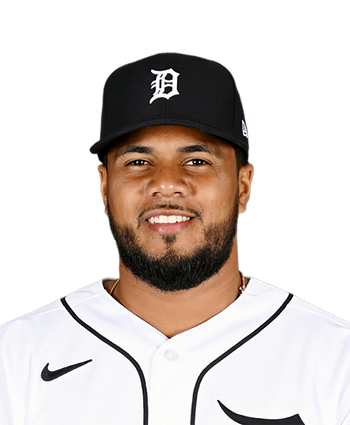 Candelario will start at third base and serve as the Tigers' leadoff man in Sunday's game against the Twins. Candelario had served as the Tigers' No. 2 hitter in the first two games of the series, but he'll move up a spot in the order with Josh Harrison (shoulder) sitting out. Harrison is available off the bench and is expected to be ready to rejoin the lineup Tuesday against the Pirates, so Candelario should shift down in the lineup in short order. Candelario is out of the lineup for Wednesday's game against the Indians, Jason Beck of MLB.com reports. With zero hits in 15 at-bats over his last five starts, Candelario has seen his season average drop below the Mendoza Line (.195). The Tigers won't pull the plug on Candelario in an everyday role at third base, but he'll get a mental break and avoid a tough matchup against Indians right-hander Trevor Bauer. Gordon Beckham will fill in for Candelario at the hot corner. Candelario went 2-for-4 with two doubles and a run scored in Tuesday's 3-1 win over the Yankees. Candelario is now 7-for-14 over the past three games with three doubles, pushing his slash line to .308/.308/.423 so far this season. 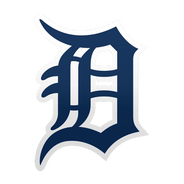 The 25-year-old had a disappointing 2018 campaign, but the rebuilding Tigers figure to give him plenty of leash in 2019, and the early returns have been positive.